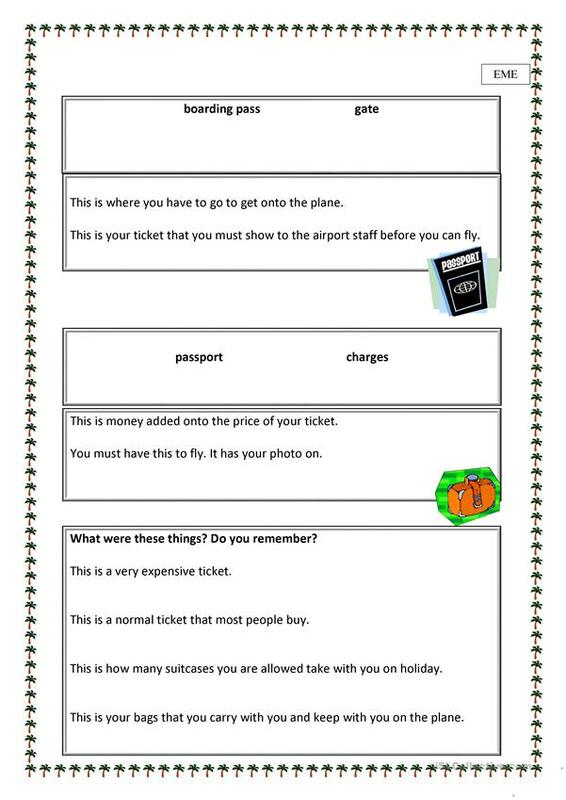 This is a worksheet that can be used alongside my PowerPoint on the airport. The SS have to match the words to their meanings. There is also a gap fill. 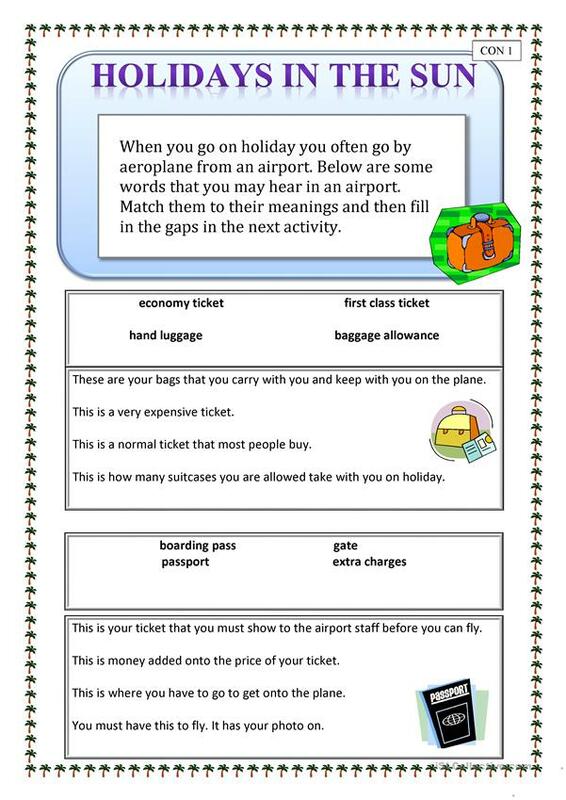 There are 3 worksheets, 2 of them are to avoid copying and the 3rd is for lower level students. 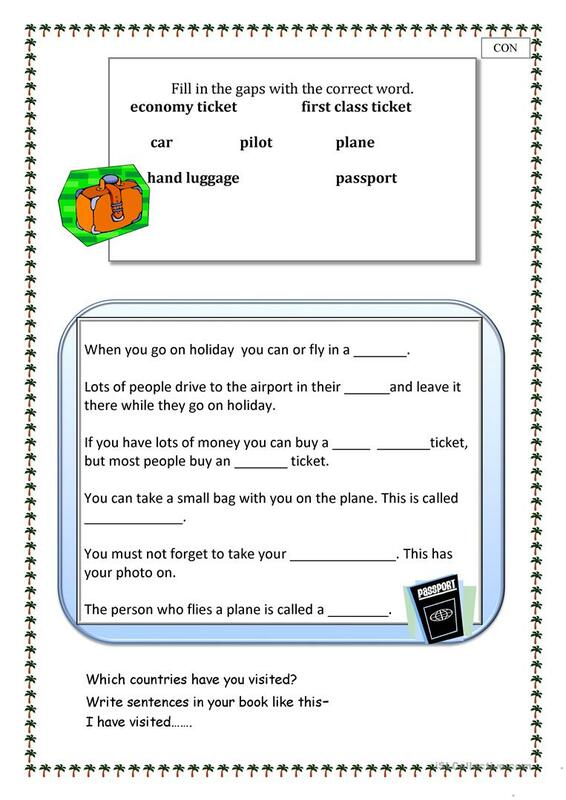 This downloadable worksheet is meant for adults at Beginner (pre-A1) and Elementary (A1) level. 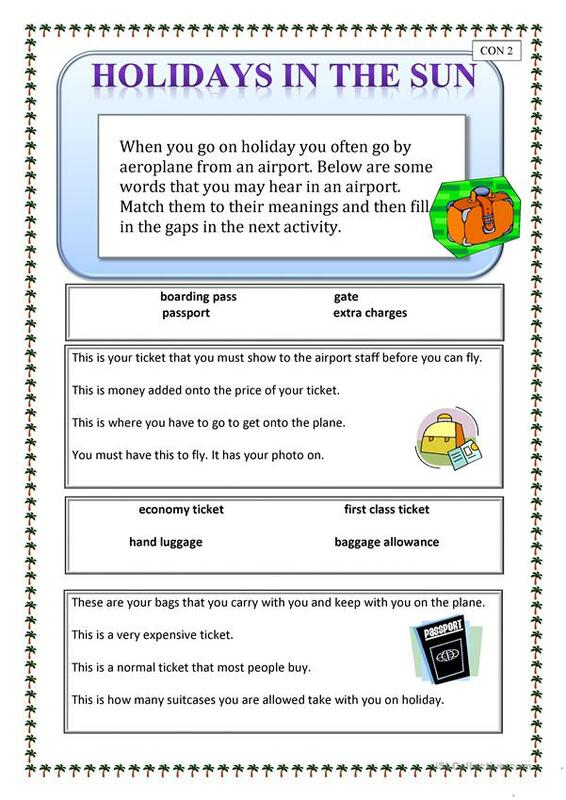 It is useful for developing your class' Reading and Writing skills. 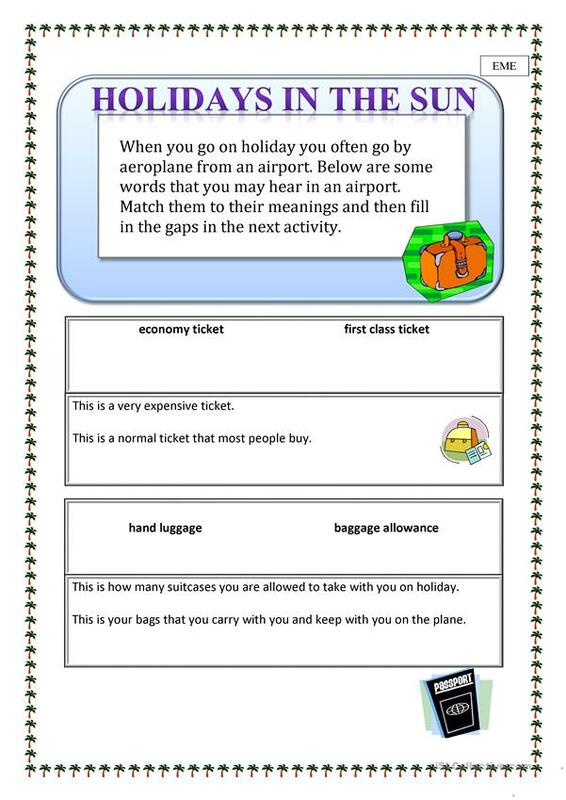 It features the topic and words of Holidays.